I finished my Meringue skirt! I sewed the whole thing up on Saturday night because I wanted to wear it to my friends baby shower on Sunday morning. It's definitely not the most flattering picture of me, but it's the only whole body shot I took. Overall I am pleased with the skirt. I like that it sits higher and I love the fabric I chose. The pivot points on the scallops were slightly puckered (any tips on this? ), so I was feeling a little self conscious about wearing it. At the baby shower a lot of people said nice things about it and made me feel so much better. Plus, no one even noticed the tiny puckers that seemed to stick out like neon flashing lights to me. Why are sewists so hard on themselves? Did you learn anything or wish you had done something differently with the Meringue? Please share, your input is helpful to those that haven't yet finished their skirts. I can't wait to see all of your photos! Please upload them to the Flickr group so we can all take a look. I will be posting pictures of some of my favorites later today or tomorrow. 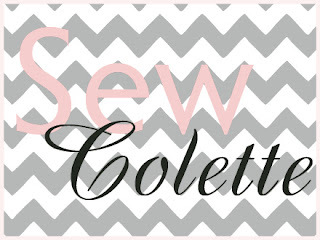 Schedule for sewing the Meringue skirt designed by Colette Patterns. January 12 - Taking measurements and sewing the muslin. January 19 - Fitting the muslin. January 26 - Sewing the final garment. January 31 - Meringue Parade - my finished skirt. I'm glad I'm not the only one with zipper problems... But I too finally made a beautiful invisible zipper! Even though I have a book with the best instructions ever it is still a struggle for me. I think I have some sort of mental roadblock when it comes to invisible zippers! That was pretty rude of your zipper! Otherwise, lookin' good! I have seen a few of the shorter one and I think they look good with tights underneath. Plus, a little warmer too. The scallops look fab. I can't see the scallop issue at all. Your compliments were well deserved, I'm sure. Hmm...now I think I need a dark solid colored one, too! Just don't look too close! I like the look of the invisible zipper, so I want to use them more in the future. Cute! I like this a lot-- a wardrobe basic with a twist! I'm looking forward to joining you guys on the Pastille (if I can keep up with the sewalong, that is!)! All right! You can do it! Gorgeous, gorgeous, gorgeous!!! I love it!! I finished mine on Sunday night and had the same issue with the little puckers at the top of some of the scallops. My only thought is that it might be due to the bulk of the fabric I used (a heavy-ish cotton twill)? I certainly trimmed out as much as I felt comfortable doing, so there might be no way around it. Still, looking good!